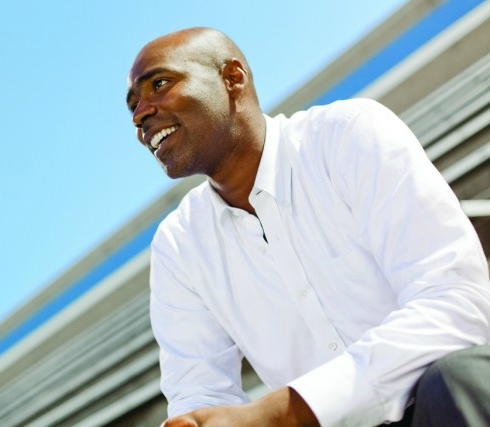 Dr. Ivan Joseph builds high-performing teams and a culture of excellence from the ground up. The former national championship winning coach and university professor has coached national and university varsity teams at World Championships and World Cup Qualifiers. He calls on his Ph.D. in Sport Psychology to serve as a high-performance coach and mentor for top professional coaches and national team programs. His most recent coaching accomplishments include serving as High Performance Coach for Canada’s FIBA U19 gold medal-winning World Championship Men’s Basketball Team and as Head Coach responsible for rebuilding the Guyanese Women’s National Soccer Team. Over the last decade, Dr. Joseph served as the Director of Athletics at Ryerson University in Toronto. He led the team responsible for the $100 million-dollar renovation of historic Maple Leaf Gardens and was responsible for a cultural transformation of the Athletic Department, which resulted in unprecedented success at the national stage. During his tenure, Ryerson teams won their first-ever conference banners and national championship – all while setting records for academic excellence, spectator attendance and fundraising. Dr. Joseph is now the Vice-Provost, Student Affairs at Dalhousie University in Halifax, Nova Scotia, a 200-year-old university with an international reputation for academic excellence and research. In this role, his focus is on creating exceptional student experiences and fostering a culture of belonging. Dr. Joseph is also a sought-after speaker in the areas of high-performance culture, self-confidence and leadership. His TEDx Talk, “The Skill of Self Confidence,” has garnered over 14 million views and was recognized by Forbes as one of The 10 Best TED Talks for Graduates About The Meaning Of Life. His current book You Got This – Mastering the Skill of Self-Confidence is an Amazon Canada bestseller. You can follow him on twitter at @DrIvanJoseph.